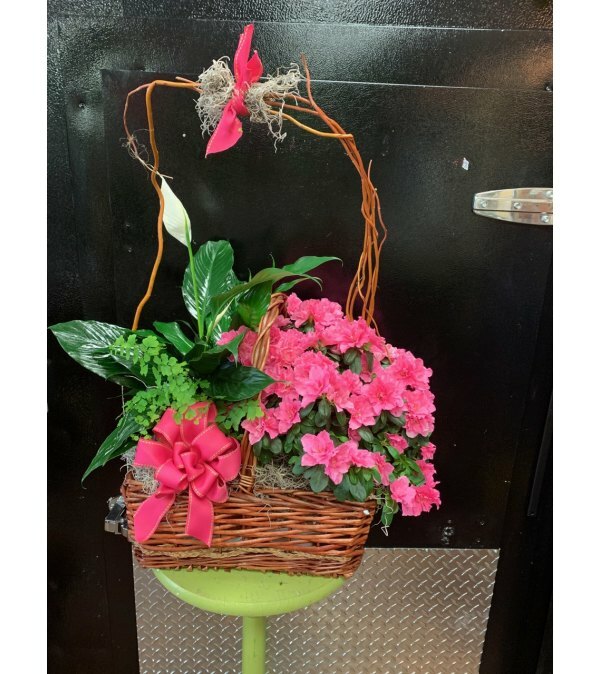 This beautiful plant basket is the perfect symbol of comfort. It is both uplifting and understated. 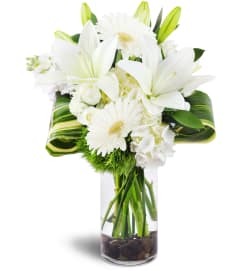 With a peace lily, azalea and small ivy it is a wonderful sentiment to anyone who needs a bit of peace and happiness in their lives! 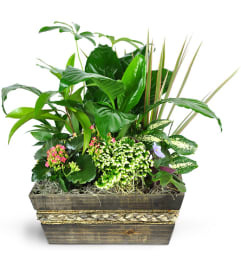 The picture shown is the standard version, if you chose to upgrade your plant basket, there will be bigger/more plants included. 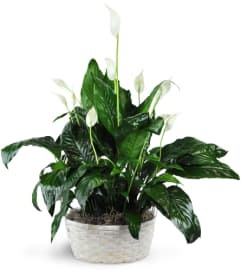 Plants, colors, ribbons and container are all subject to change due to availability of products and seasonal exceptions. We will make your arrangement as close as possible to this picture.